During the summer season the atmosphere can really change, sometimes its enjoyable to durable in the matter of days. When we have no solution to control the surrounding atmosphere it can get uncomfortable to the point where we will retreat indoors to seek the shade. Why have a garden that you cannot use during a season of sunshine? 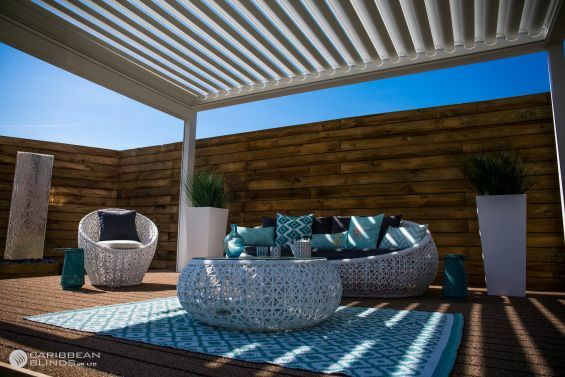 It is time to create a dedicated outdoor living area that provides you with the shade, ventilation and comfort you need to maximise on the way you use your outdoor space. The Caribbean Blinds Award Winning Outdoor Living Pod™ is the ideal patio canopy that provides luxury and convenience at the same time. This four-post aluminium structure features an innovative automated louvered roof system that can be remotely operated to move to any precise point to provide you with the shade and ventilation you desire on those hot muggy days. 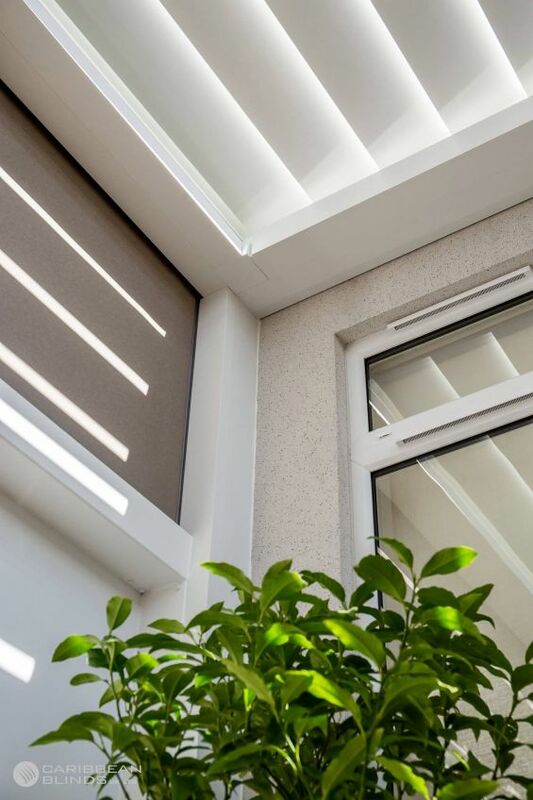 When the atmosphere is humid it is hard to catch a breeze and this makes us sweat and feel irritated which is why this rotating louvered canopy is the solution to cool and restore the environment back to a comfortable and relaxing setting. By tipping the louvers slightly you will be able apply the laws of aerodynamics and generate a ventilation system that will circulate fresh air under the sheltered space. It’s great to sit under a shaded space but its even better under a shaded and ventilated space. The Outdoor Living Pod™ gives you control of how you use your space, there will never be no need to change your plans just because of the weather. 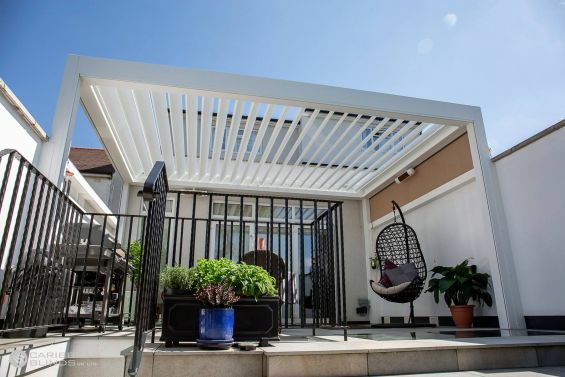 The advanced features of this specially engineered patio canopy will allow you to use your garden space to its full potential whilst enhancing your lifestyle. It’s time to make some changes to your landscape design so talk to one of our advisors today and see how we can design a bespoke structure that works for you – 0344 800 1947 or alternatively you can leave your details using our enquiry form and we will send you an inspirational product brochure and free guide price.